Flemish political and public debates about the headscarf, Islam and emancipation are often set up in terms of conflicting cultures. In this article, I discuss the gap between representations of Muslim women circulating in the debates and the life trajectory of an individual Muslim woman. I offer an analysis of the story of Layla, a Muslim feminist from Antwerp, about her social-political activism and becoming in relation to activism. 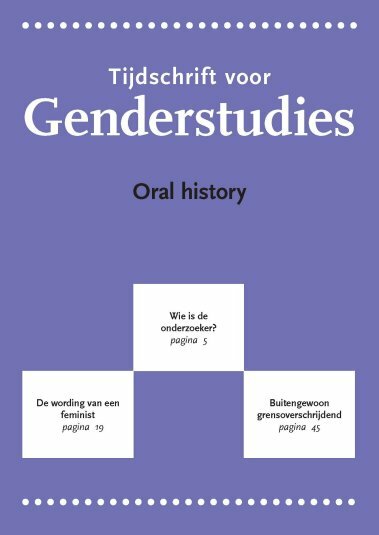 Central to the article is the question of how Layla’s feminist activism, negotiations and becoming take place within and against the context of the Flemish headscarf debates. I specifically look at the way in which Layla’s agency emerges from her story.